Hybrid water shoe designed with a quick dry upper, webbing brace for midfoot support and drainage system in midsole and outsole. Easy on-off design. Perfect for all of your water fitness needs. *Synthetic and mesh upper. 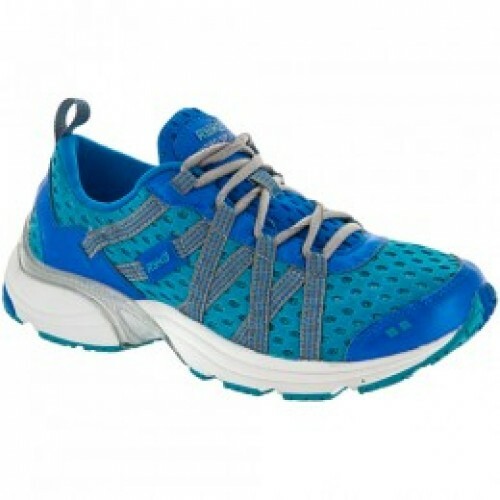 Webbing midfoot cage provides medial and lateral support. *Midsole constructed with lightweight compression EVA foam and drainage ports. Keeps the foot comfortable and supported. *Outsole provides drainage ports and sticky rubber for better traction on wet surfaces.